Better late than never. Along with other parts of the world, Samsung India has also started rolling out Android 2.2 Froyo update for Samsung Galaxy S users in India. The new Android 2.2 Froyo update for Galaxy S brings a set of new features like support for Adobe Flash 10.1 and also installing apps on an external microSD card. 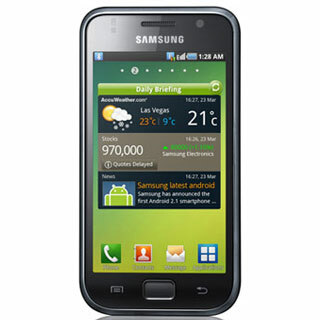 The Android 2.2 Froyo update needs to be downloaded via Samsung Mobile Desktop program – Kies. You can download the latest Samsung Kies version from here. Android 2.2 has some common set of features for all the devices on which it runs, including turning your mobile into a Wi-Fi hotspot and Apps2SD support and updated versions of native Gmail client and YouTube app. With the update of Android 2.2 Froyo, Galaxy S will now give better performance with Flash and HTML5 based web apps even in native mode. That well being said, I am still waiting for Froyo update on my HTC Wildfire in India. Don’t know when that will happen. Thanks for the info. Eagerly waiting for Froyo on my Galaxy S I9000.